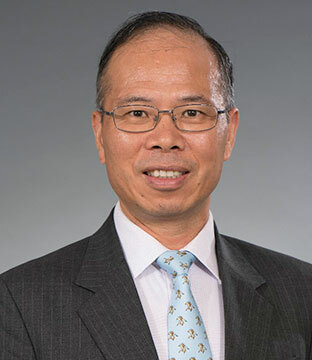 Harry, the founder and Partner of LC Lawyers LLP, is the first Mainland China lawyer qualified as a Solicitor of England and Wales. He has over 28 years of experience in matters relating to banking & finance, corporate and commercial, Chinese inbound and outbound investment. Harry received his professional training from a magic circle law firm in London. Early in his career, Harry primarily focused on aircraft financing while working in London and Hong Kong. He advised a number of major Chinese airlines in the financing of their Airbus and Boeing aircrafts. His advice included many Japanese leveraged leases combined with European Export Credit supported financing. Prior to setting up LC Lawyers, Harry was the Head of the Banking & Finance Department of a well-established law firm in Hong Kong. Applying his legal expertise acquired from Hong Kong, Mainland China and the UK, he has advised Chinese banks and other financial institutions on numerous financing transactions. Harry is experienced in advising on a wide range of banking related matters (including but not limited to) cross-border lending, acquisition financing, pre-IPO financing, trade finance, offshore lending enhanced with Chinese security, sale and lease-back financing, margin finance, funded risk participation and asset restructuring. He has advised banks in setting up branch operations in Hong Kong and has experience in preparing standard forms and agreements for these newly set up branches. Harry is well versed with International Swaps and Derivatives Association (ISDA) documentation and has advised financial institutions in interest rate and currency swaps. Advised a Chinese motorway company on a RMB1 billion yuan secured syndicated loan from Hong Kong. LC Lawyers LLP is a licensed Hong Kong law firm duly registered with the Law Society of Hong Kong. LC Lawyers LLP provides advice and assistance to its client independently.